“In a well-structured ride-along, you will occupy the backseat while the instrument pilot and instructor fly up front. Unlike the passive role you may have played during bygone adolescent driver education days, your role in a ride-along should be active. 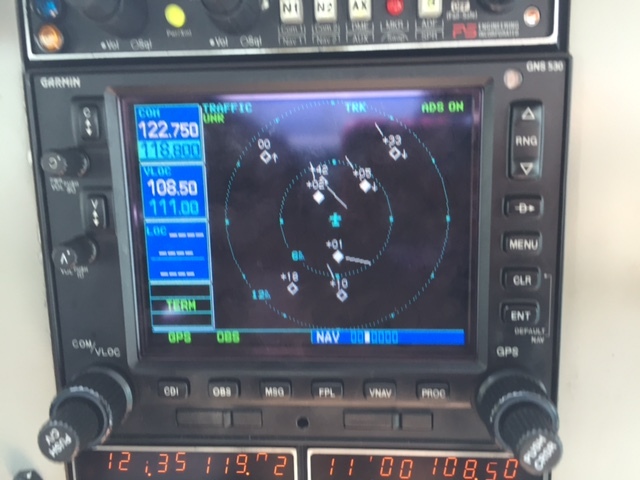 That is, during each respective phase of the flight, you should actively and independently copy the same clearances that the pilot receives, and then vicariously conduct the phases of flight (e.g., subvocalizing replies to air traffic controllers, reviewing your cruise checklist, completing your pre-landing checklist, etc.). 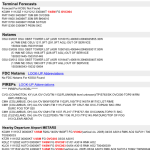 The two pix below show the immediate benefits of ADS-B technology for IFR flights. 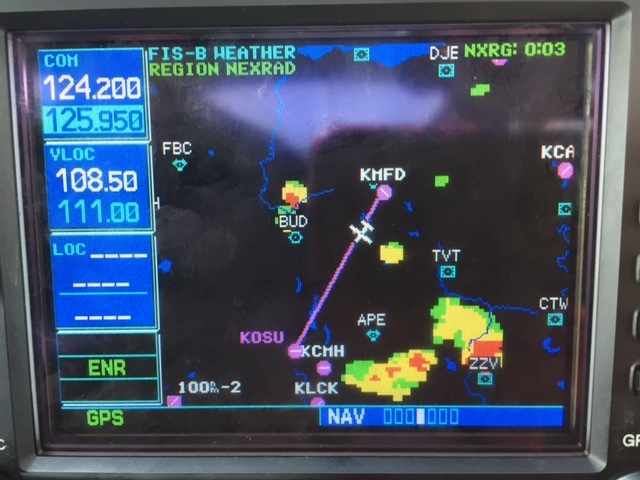 Instrument pilots now have on-board access to Nexrad weather and traffic, allowing them to make informed decisions about their flights. I recommend it. “Save this Date (May 27, 2015). Our monthly Columbus Chapter IMC Club will be held on Wednesday, May 27, from 7:00PM to 8:30PM at Quest Conference Center, 8405 Pulsar Place, Columbus, OH 43240. Go to http://www.quest-centers.comfor a map. Light refreshments will be served. The focus for this meeting will be on single pilot resource management (SPRM) as it relates to (1) operating IFR from non-towered airports, reviewing obstacle departure procedures (ODP), holding in lieu of procedure turns, and an approach briefing, (2) copying and understanding ATC clearances, and (3) viewing and discussing a “Return from Oshkosh” video vignette. A social interaction and exchange of ideas will follow. Register and bring a pilot friend with you. You need not be a current IMC Club member to attend. WINGS credit will be awarded to attendees. Bring your iPad or tablet if you want to follow and save en route scenarios. For further information or details, contact Tim Heron, IMC Columbus Chapter co-leader at 614.620.5868 or thcfi.th@gmail.com. Our monthly Columbus Chapter IMC Club will be held on Wednesday, May 27, from 7:00PM to 8:30PM at Quest Conference Center, 8405 Pulsar Place, Columbus, OH 43240. Go to http://www.quest-centers.com for a map. Light refreshments will be served. The focus for this meeting will be on copying and understanding ATC clearances, and viewing a video problem-solving vignette related to returning from Oshkosh. A special “Lifetime Achievement Award” presentation and social will follow. Registration at FAAsafety.gov will become available shortly. Bring a pilot friend with you. WINGS credit will be awarded to attendees. Bring your iPad or tablet if you want to follow and save en route scenarios. On April 22, IMC Club Columbus Chapter hosted its monthly meeting at the Quest Conference Center. Excellent discussion of “vectors to final” issues and “en route/approach planning” using the fuller capabilities of your GPS. Looking forward to our May 27th meeting. Mark your calendar. Details to follow. Thank you to Capital City Aviation for its sponsorship, and Quest Conference Center. Our monthly Columbus Chapter IMC Club will be held on Wednesday, April 22, from 7:00PM to 8:30PM at Quest Conference Center, 8405 Pulsar Place, Columbus, OH 43240. Go to http://www.quest-centers.com for a map. Light refreshments will be served. The focus for this meeting will be on single pilot resource management (SPRM) as it relates to GPS “Vectors-to-Final Gotchas”, demystifying IFR en route and approach charts in complex airspace, including using GPS “shortcuts”, and copying and understanding ATC clearances. A social interaction and exchange of ideas will follow. Register at FAAsafety.gov, following the links for events within a 50 nm radius of zip code 43229. Bring a pilot friend with you. 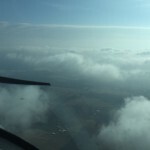 In observance of Good Friday, my normal Friday Focus on IFR is being published today. 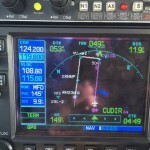 The first pix shows a recent GPS approach into KMFD (Mansfield, OH), Runway 23, starting at CUDIR. ATC cleared us direct to this fix. The second shows the cloud deck. Having an instrument ticket, helps pilots descend through an overcast or broken layer, and increases the utility of the airplane. If you are a private pilot, consider upgrading your skills to the instrument level. If you are an instrument pilot, take advantage of the coming warmer weather to dust off winter rust. 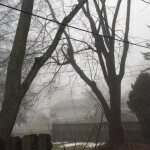 The photo out my back door on March 11 confirms the weather information derived from the METAR and Skew-T diagram. 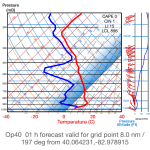 Thick foggy conditions at the surface, but the Skew-T chart shows breaks above (~ 3,500’/875mb). For a GA instrument pilot, though, it would still likely be a “no go” scenario as there would be a thin margin to return to the departure airport should an exigent circumstance develop soon after takeoff. Register at www.faasafety.gov (SPANS). Follow the link for Upcoming Seminars. Contact Tim Heron, (614) 620-5868, thcfi.th@gmail.com for details. The inaugural one-hour local meeting of the newly formed Columbus Chapter IMC Club will be held on Wednesday, March 25, starting at 7PM at Quest Conference Center, 8405 Pulsar Place, Columbus, OH 43240. WINGS credit will be awarded to attendees. Directions : Go to http://www.quest-centers.com/ for a map and/or directions. (The QCC is southeast of the I-71-Polaris Parkway Exchange). Enter at the Main Entrance, you will be directed to the meeting room. On behalf of Tom Baxter and Aaron Snyder, co-leaders of IMC Club Columbus, I look forward to seeing you at the meeting, which is co-sponsored by Columbus FAASTeam. This center is a highly professional, well-appointed, technology friendly , meeting space worthy of any instrument pilot’s time to attend. Light refreshments will be served. After a brief introduction of the IMC Columbus Chapter’s purpose; that is, emphasizing “instrument pilot safety and proficiency through education and experience”, and a live video linkup with Radek Wyrzykowski, founder of IMC Clubs, International, the meeting will focus on single pilot resource management (SPRM) using an IFR scenario. The goal of SBT is to stimulate instrument pilot decision making skills, especially as they relate to single pilot resource management (SPRM). Guided discussion will follow. Bring a (pilot) friend with you. You need not be a current IMC Club member to attend. WINGS credit will be awarded to attendees. On behalf of Tom Baxter and Aaron Snyder, co-leaders of IMC Club Columbus, I look forward to seeing you at the meeting, which is c0-sponsored by Columbus FAASTeam.